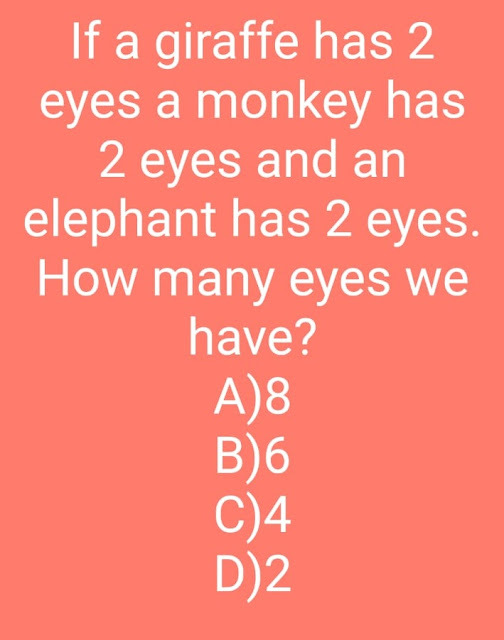 If a giraffe has 2 eyes a monkey has 2 eyes and an elephant has 2 eyes. 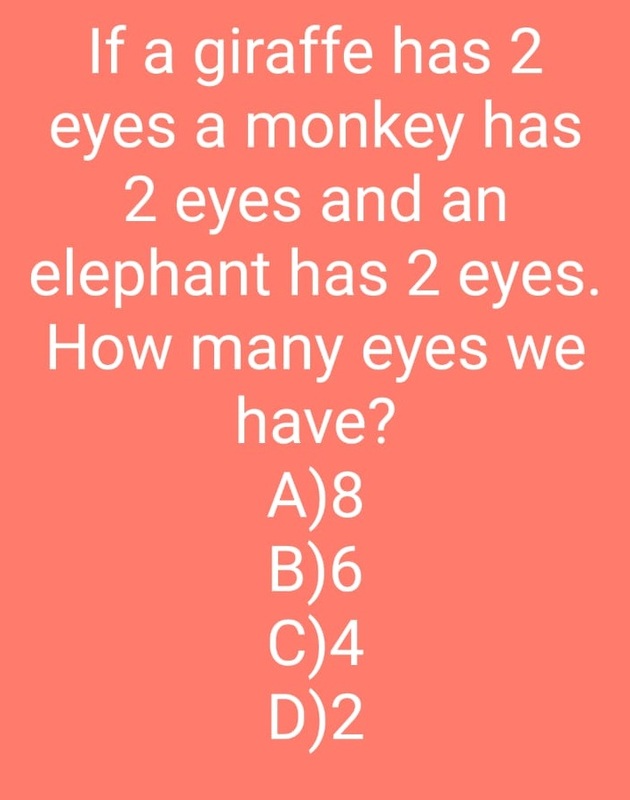 How many eyes we have? The question is how many eyes we have? :- Since 'we' means two people ie. You and me, there are total 4 eyes.